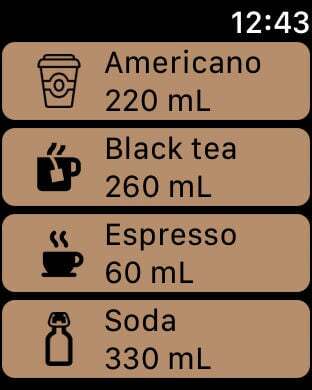 Log your caffeine and water consumption with one tap. • Apple Health (requires Apple Health access). 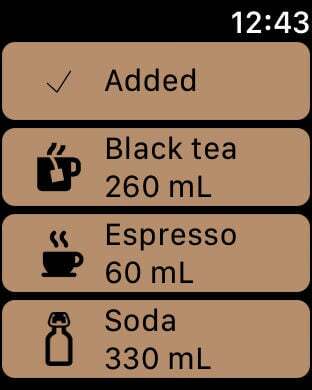 • Track water and caffeine with iPhone and Apple Watch. • Save your favorite drinks and sizes for quick logging. • Specify time, when you had drink in the past. • Drag and drop (iOS 11 or newer). • Excellent privacy. Caffeine++ doesn't track, collect, or save any of your data. Caffeine++ became much better since its first release. Our goal is to improve and we couldn't do it without your help. Pregnant? Please don't drink more than 1 cup in a day. App icon made by Freepik from flaticon.com.